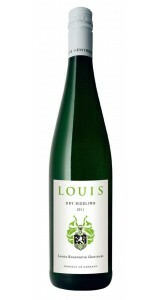 Delicate fragrance of white peaches, apricot and juicy pears. The classical Riesling in expression and elegance. The family roots go back until 1648, to the small village of Wörrstadt in Rheinhessen. 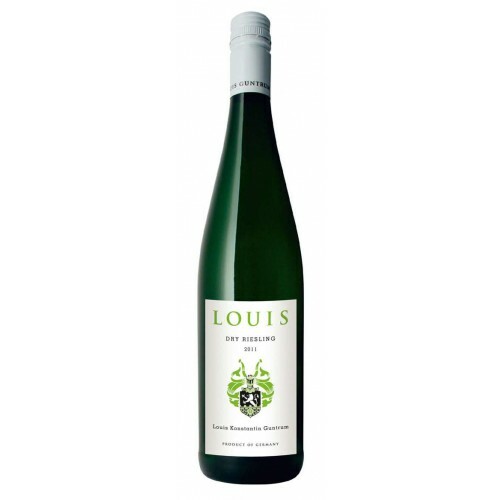 Ever since, the Louis Guntrum family has been growing grapes and making wine. The 8th generation, Louis Jean George Guntrum, built today's Estate building in 1923 - it offers a perfect and spacious environment to produce some of the finest wines from Germany, but also impresses with its stunning location directly adjacent to the Rhein river. Today, the estate is owned and managed by the 11th generation, Louis Konstantin Guntrum. Oppenheimer Sackträger and Oppenheimer Herrenberg, Niersteiner Oelberg, Niersteiner Pettenthal and Niersteiner Hipping are amongst only a few vineyard names in Germany, that appeal to daily wine drinkers as connoisseurs alike. This is, where you find most of the vineyards of Louis Guntrum. At the turn of the 20th century, wines from the area were more expensive than the most expensive First Growth Bordeaux. Today, the situation has changed - you realise, what great bargains you can find, buying a First Growth Riesling from the Rhein at the price of a Bordeaux table wine.